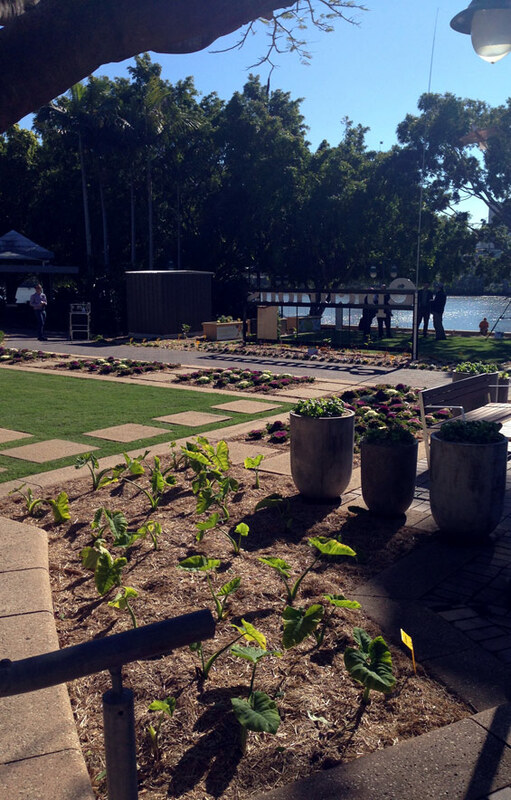 Epicurious Garden is an edible garden designed to educate and inspire Brisbane’s Southbank visitors. The garden is a design collaboration between Brisbane City Council and JFP Landscape Architects along with Jerry Coleby-Williams assisting with the planting design. The Epicurious Garden is all about discovery – explore the garden’s exquisite plant life and see what fresh produce looks, feels and smells like; gardener volunteers will educate the public about inner-city gardening and providing recipe suggestions for the produce on display. 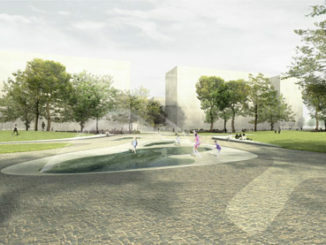 The Epicurious Garden is 1500m2 and is made up of 30 beds and some pots. It has interpretive signage along with links to recipes. 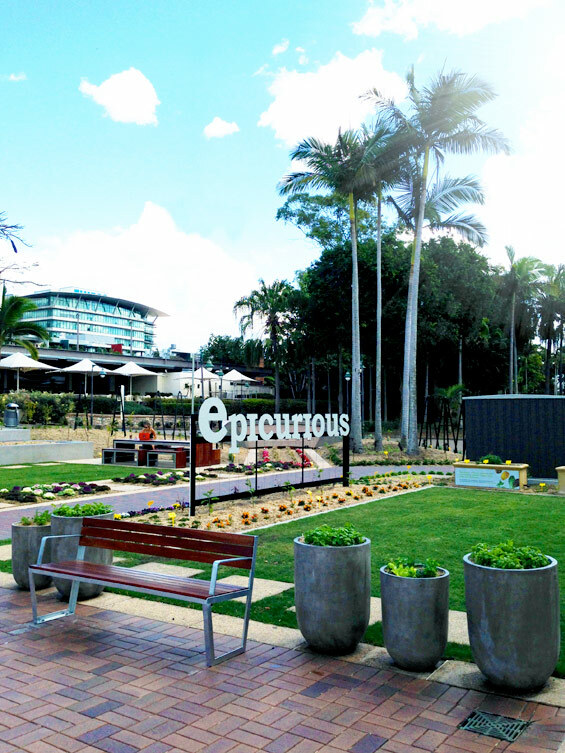 The opening of the Epicurious Garden coincided with Parks Alive which took place across Roma Street Parkland, South Bank Parklands, City Botanic Gardens and Brisbane Botanic Gardens (Mt Coot-tha) on 23-24 August. Images | Courtesy of Brisbane Marketing Board.